Envirosax's groovy new reusable bags for kids! Envirosax’s groovy new reusable bags for kids! We’re just loving these brand new designs from reusable shopping bag doyens Envirosax. They’re contemporary in that vintage-chic way, with designs that are appealing for boys or girls! 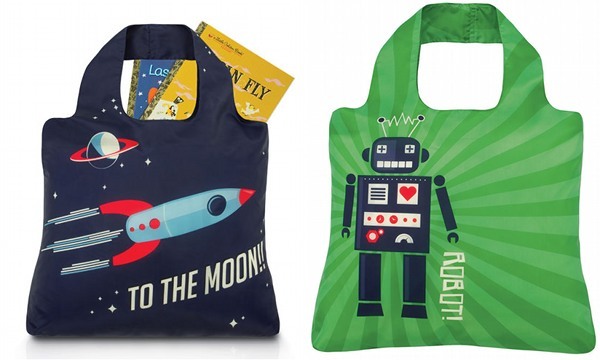 There’s a stunning carousel bag, paper doll design, alphabet, robot and space-themed options. 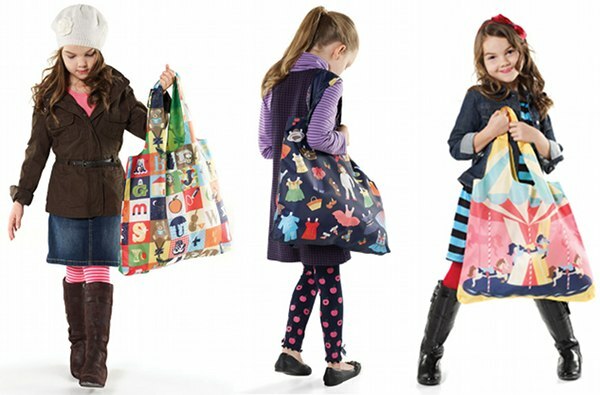 We don’t think there’s a kid in the universe who wouldn’t find at least one of these bags irresistible – now they can be super-stylish while saving the world one plastic bag at a time! We featured the classic versions back in 2008 and we’re glad to see that Envirosax are providing more incentive for our little people to get in on the act of conserving precious resources. The new designs are $9.95 each from Urban Baby. Don’t forget to enter this month’s competition to win $1000 from this baby and children’s online superstore and you might find yourself including some Envirosax as part of your prize!